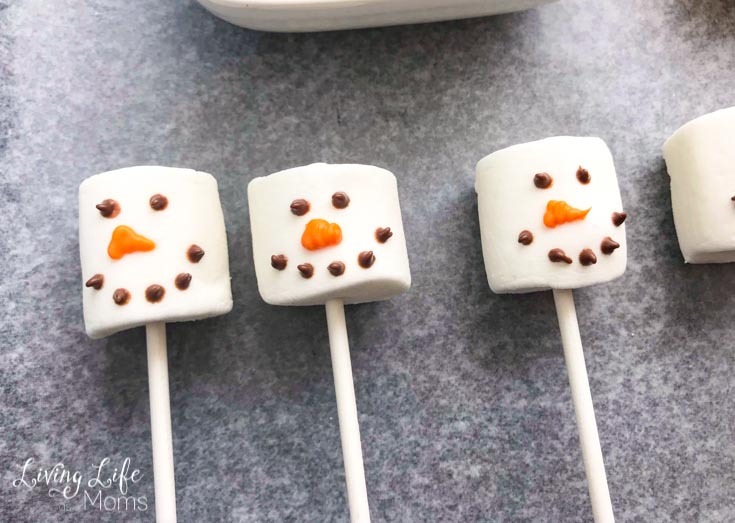 These Snowman Marshmallow Pops are perfect for a fun winter treat or upcoming festive holiday surprise! Simple and easy to make, these simple desserts will become a family favorite in no time at all! I don’t know about you, but I’m always looking for a simple dessert that I know will be a hit. In our home, food that is also cute is always a winner. 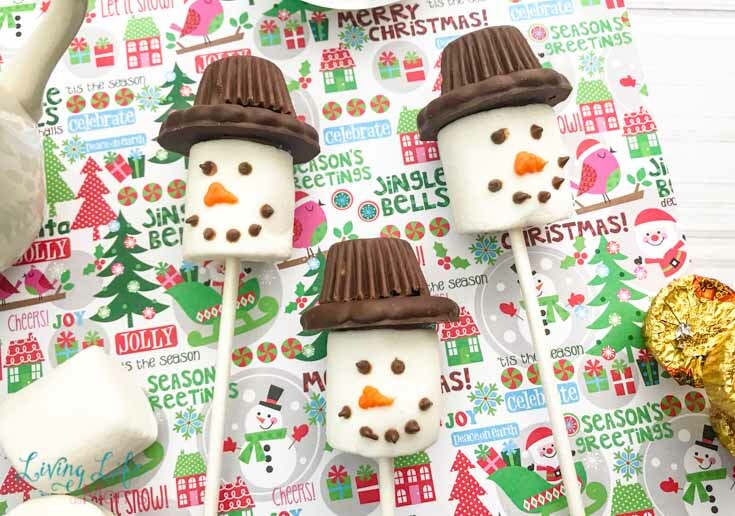 This is what I love about these Snowman Marshmallow Pops! Not only are they tasty delicious, but they’re so darn adorable as well! 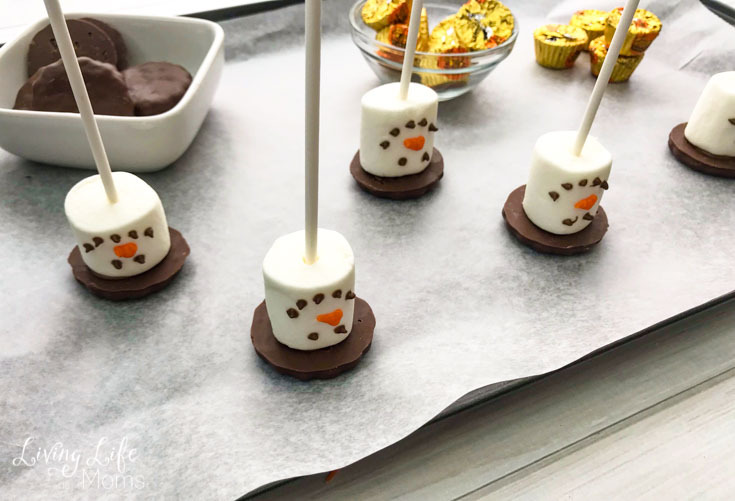 And honestly, my kids even enjoy helping create these winter treats too. With very few ingredients and super simple steps, this is one of those recipes that take no time at all to be creating and enjoying. 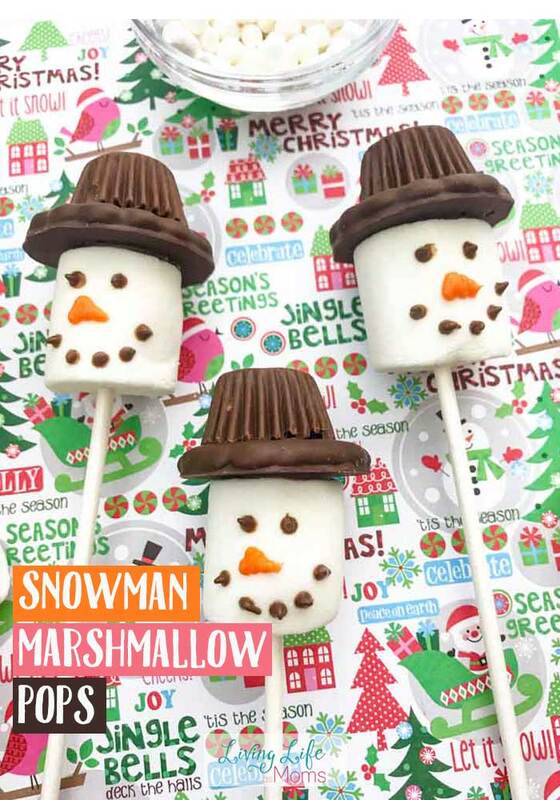 Perfect for winter parties, classroom parties or even snowman-themed birthdays, these marshmallow pops are the most fun way to enjoy eating food on a stick! Remember when I said that there are few ingredients and steps? Seriously, you’re about to discover your new favorite winter dessert! 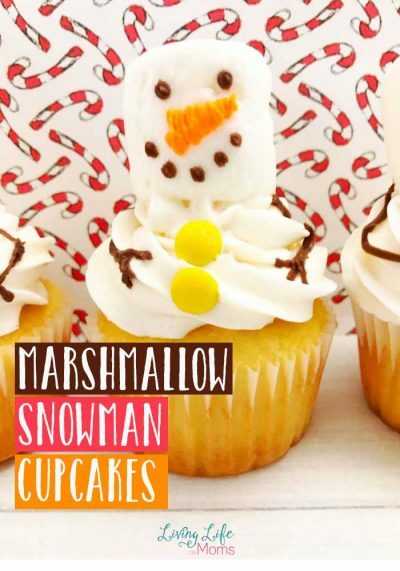 If you can’t get outside and build a snowman, you need to bake ’em inside instead. 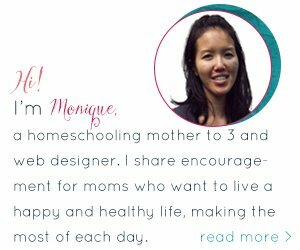 Line a large baking sheet with wax or parchment paper. You don’t want the ingredients to stick! 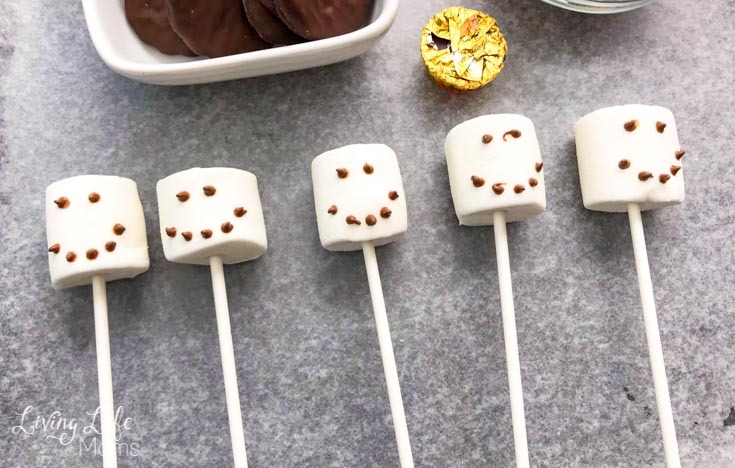 Insert (1) large marshmallow onto the end of each lollipop stick. Remove from the microwave and let cool a few minutes. Attach the 2nd frosting tip and scoop the melted red chocolate into the disposable piping bag. Allow the snowman’s face to set. 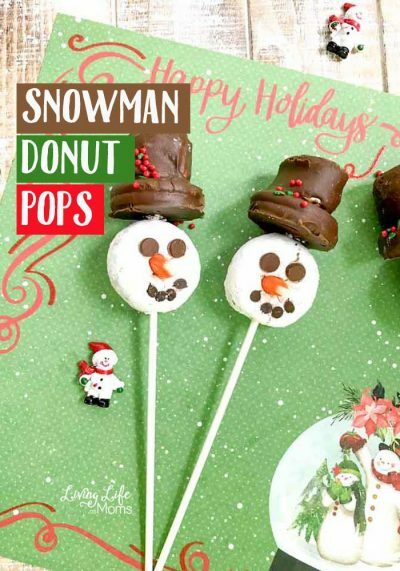 Place a small amount of melted chocolate on the top of the mini Reese’s Peanut Butter Cup and place on top of the snowman. Once you’ve done this with all, it’s time to enjoy!